This questionnaire is based on the Quality Matters Rubric. 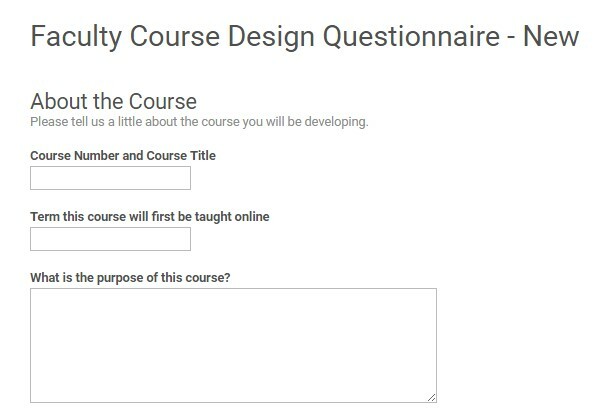 The questionnaire is a general synopsis of the faculty developer’s background with online teaching and learning and preliminary questions about their course. Prior to the faculty developer first meeting with the Learning Designer, they will complete this form. Their responses to these questions will guide the initial conversation with the Learning Designer and help them start to think about how to design the course. The questionnaire may be delivered to as a Word document or a Google form (see screenshot below).